THE CHRISTIAN LIFE IS ABOUT SERVING A PURPOSE GREATER THAN OURSELVES. DISCOVER THAT PURPOSE NOW! There is one thing we are to seek. One vision given for us to fulfill. A single mission that would serve as the goal for something so large as a nation, yet specific to us as individuals. There is one primary cause by which we are to define all that we are, all that we have, and all that we do. What we are to seek above all else is the Kingdom of God and His righteousness (Matt. 6:33) and to do the will of God on earth as it is in heaven (Matt. 6:10). A vital, governing institution for this mission is the family - in specific, the trustee family. It is the Christian family that holds this great Kingdom mission "in trust" and instills this mission in its members. It is the Christian family that serves as the first church, state, workplace, and school in which children are prepared for godly dominion. Therefore, Christian parents are called to establish Kingdom-driven families. They are to build a home for God - a house that is dedicated to the service of the King and His Kingdom. 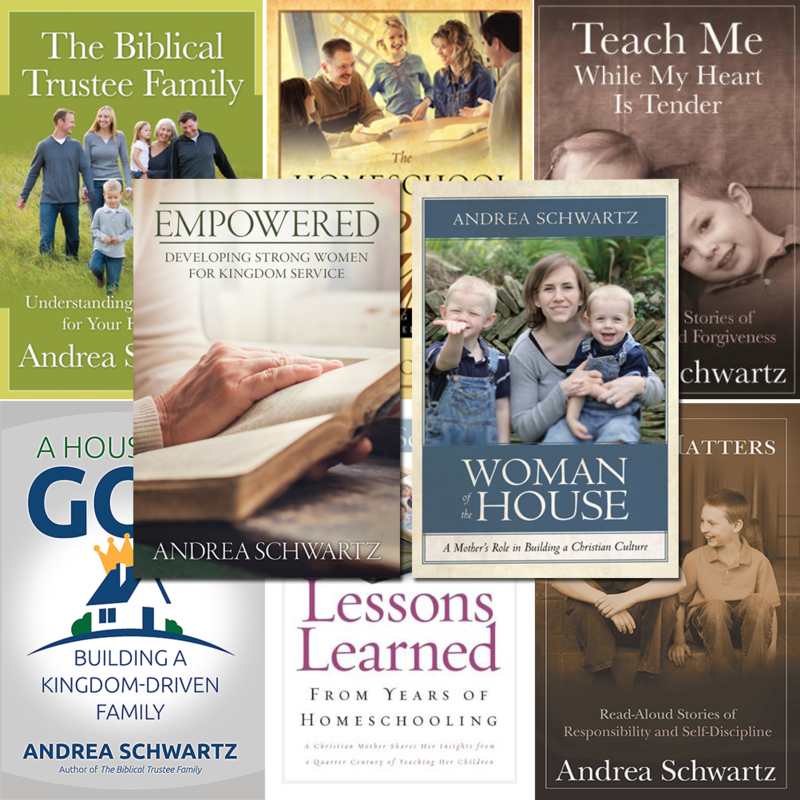 To aid in this calling, Christian author and education expert, Andrea Schwartz has carefully put together this collection of essays entitled A House for God: Building a Kingdom-Driven Family. 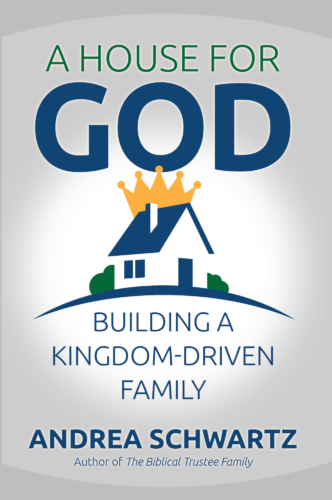 Both your personal life and your family life will be challenged and transformed through the pages of this easy-to-read, insightful book on building a Kingdom-driven family.